Movement in Balance is located near Seattle, WA in the Pacific Northwest. 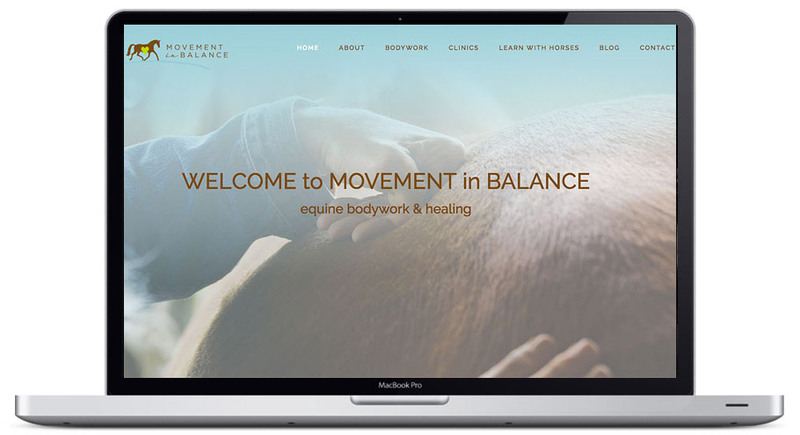 At Movement in Balance, Barbara Breckenfeld offers equine bodywork and massage, as well as the popular “Introduction to Bodywork with Horses” clinics. Movement in Balance approached Hang Wire with the goal of re-designing her website to create a more user-friendly and aesthetically pleasing website, with the potential to add e-commerce in the near future. Hang Wire worked with Barbara to develop a full-width modern web design in the WordPress platform. 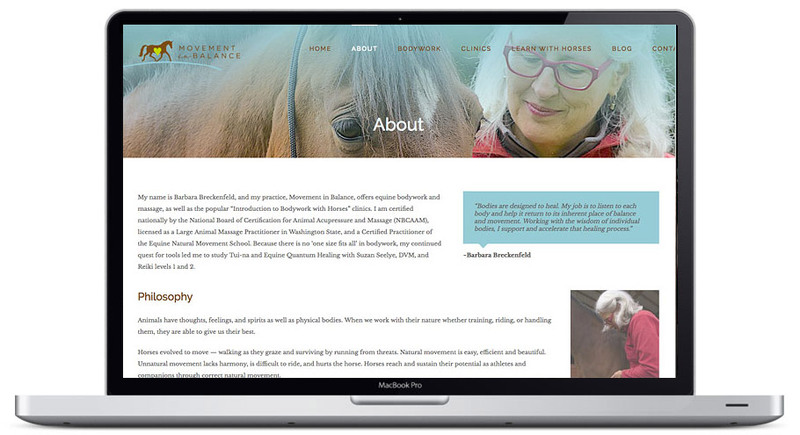 Individual Horse Clinics are integrated via PayPal checkout. A full blog is also incorporated into the design.